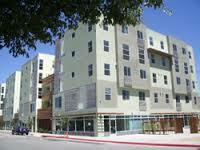 California Consulting Announces the Release of the California Housing & Communities Development (HCD): Community Development Block Grant (CDBG) Program - California Consulting, INC. Amount: Maximum of $2,000,000, including all activities except ED OTC, Colonia and Native American. This NOFA applies to State CDBG-eligible activities funded under the Economic Development (ED) Set-Aside, Community Development (CD) sub-allocation, Colonia Set-Aside, and Native American Set-Aside. Typical activities funded under each of these predominately benefit low- and moderate-income Californians and include: Business Assistance (BA) Projects and Programs; Microenterprise (ME) Assistance Programs; Housing Rehabilitation (HR) Programs and Projects; Homeownership Assistance (HA) Programs; Housing Acquisition Projects; Public Infrastructure Projects; Public Facility Projects; Public Service Programs; and Planning and Technical Assistance Grants. California Consulting is the state’s largest grant writing company. California Consulting has successfully written over 680 grant applications. Through a combined effort, California Consulting has secured over $1.5 billion dollars for it’s clients through federal, state, and nonprofit funding avenues. If you would like California Consulting to write this application for your entity, please contact us at shasta@californiaconsulting.org or 323-728-9002.